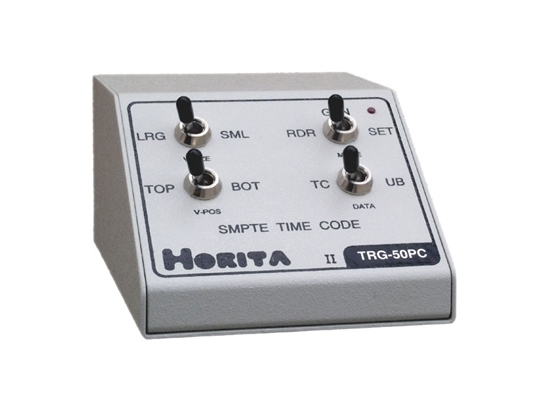 The TRG-50PC is a SMPTE time code generator/reader for generating time code and for making time code "window dub" copies of video recordings. It also has an RS-232 serial output that allows it to connect to a computer to input the reader or generator time code values, and comes with a Windows based time code "logging" program called PC-LOG. PC-LOG also allows remote control of the TRG-50PC to preset the generator, turn the display ON/OFF etc. It is very easy to operate and is available in both desktop and rack mount packaging. The TRG-50PC works with SD analog composite video systems and is available in NTSC or PAL models. Reads and generates SMPTE time code. Has RS-232 serial input/output. Comes with RS-232 to USB adapter cable. Comes with Windows based Horita PC-LOG logging software. Makes burned-in SMPTE time code window dub copies. Provides reshaped time code output for copying time code. Displays time code or user bits. Reads time code from 0.1 to 10X "play speed". Indicates drop frame or non-drop frame time code, field 1/field 2. Dark mask or "see-thru" mask surrounds display. Adjustments for horizontal and vertical size and position. Always frame accurate (does "+1 frame" for on time display). Generates SMPTE time code in drop/non-drop frame format. Jam sync mode jams to time code input and outputs new time code. Simple "on screen" preset of time code and user bits. Run/stop generator operation using front panel momentary switch. Selectable 30/60/90/120-second automatic generator back time. Make a window dub copy while recording time code on source video recording. "Phase" meter display in window shows time code-to-video "phase" relationship. 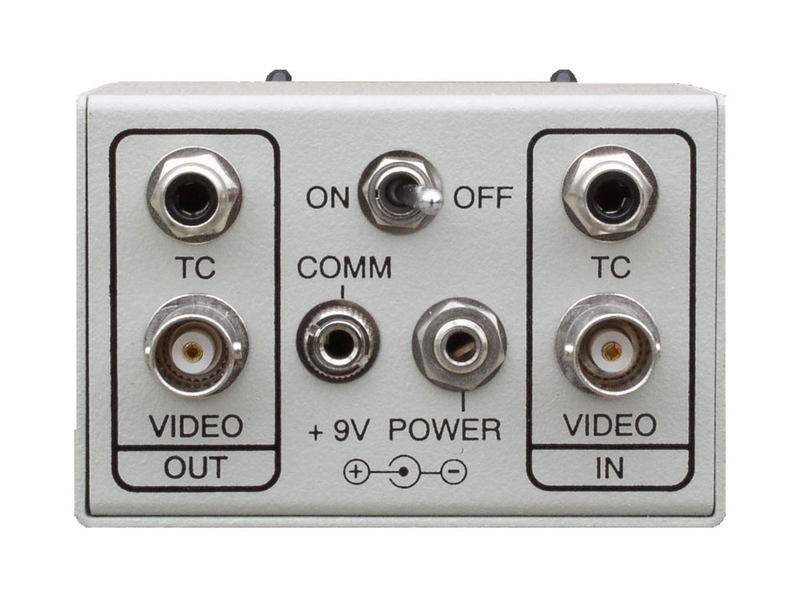 Available in SD NTSC RS-170A or PAL 625/50 analog composite video models. Operates from 9 volts DC. Supplied with an AC adapter or can operate from a single 9V battery. Small, rugged desktop aluminum enclosure measures 2" high, 4"long, 3"wide. Also available in standard 19" Rackmount and Horita 7.5" "Short Rack" packages.